The Italian chemical firm, Versalis recently invested in the region of £45m at its plant in Grangemouth to expand elastomer production. 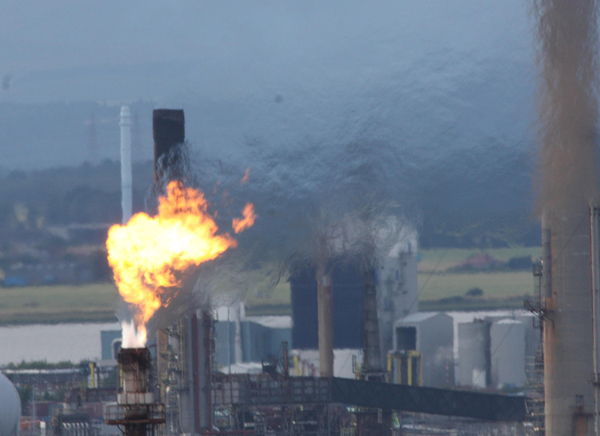 The Grangemouth site produces synthetic elastomers and lattices which serve the automotive tyre industry. 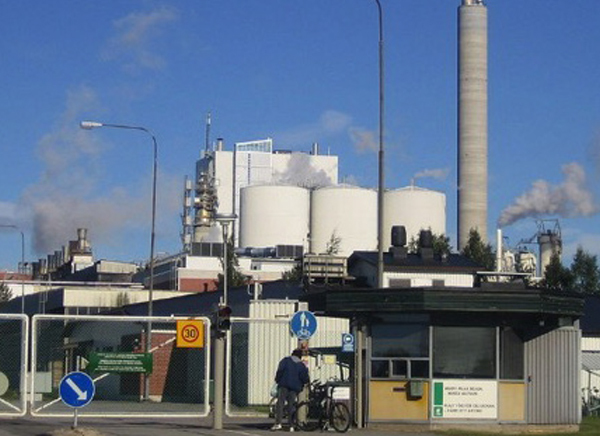 The expansion to the plant included a 4th Finishing Line. The fire engineering solution established that water spray and deluge would be required to the associated fourth finishing line plant. All systems were required to be UL approved and to NFPA standards. The systems were to be designed in accordance with NFPA 13. One work package was dedicated to the conventional sprinkler system and a further four work packages outlined the requirements for water deluge systems to provide protection to external chemical plant areas. 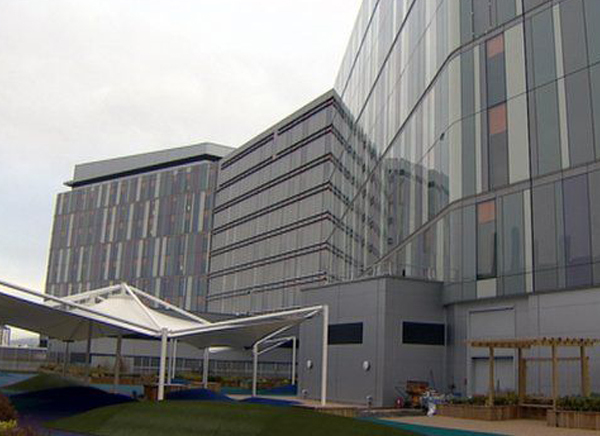 Careful planning is pivotal to fixed fire systems and Vipond provided key lead-in dates. One of the more unusual requirement’s in one of the water deluge works packages was to bend the pipework to follow the contour of the tank to be protected. Close tolerances were required to ensure that the fabricated lengths matched the curvature of the tank. UPM Caledonian is located in Irvine, Ayrshire, The mill has been in production since April 1989 and produces high quality light weight coated paper (LWC) for use in magazine publishing and catalogues and it is the only manufacturer of this product in the UK. The paper making process extends to approximately 1 km long. Recent developments at UPM Caledonian included a modern, fully integrated biomass CHP plant to replace the existing fossil fuel fired boiler. It was felt that an automatic active fire protection system would be advantageous in terms of speed and effectiveness of response and provide a comprehensive fire safety solution to the industrial process. It was agreed that a comprehensive detection and suppression system would be installed appropriate to the risks. Localised detection sprinkler heads were positioned in the five areas of concern. If a fire occurs in any of these areas, the deluge valve will trip allowing water to flow into the deluge nozzles and discharge foam enhanced water onto the risk. Two Triple IR Flame Detectors were strategically placed. These sense fires very efficiently and have the highest immunity to false alarms. 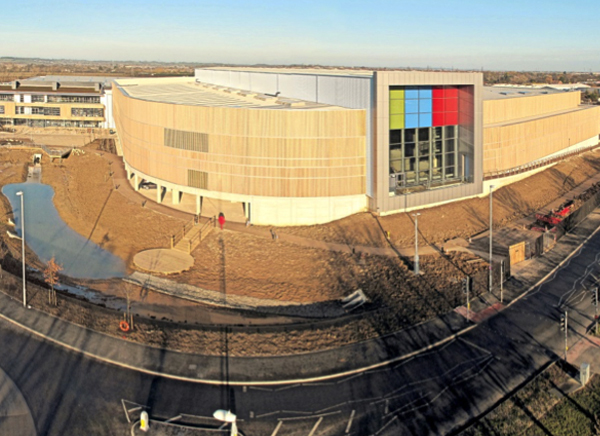 Tovi Eco Park is part of a 28 year contract awarded to Urbaser Balfour Beatty by both Essex County Council and Southend-on-Sea Borough Council, to manage waste from households across Essex and Southend. The mechanical biological treatment (MBT) facility will treat all residual waste as well as complementing existing recycling and composting services within the region. 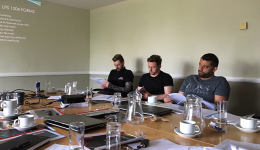 The client required the contracts to be compliant with industry specific guidance, including Property Damage Fire Prevention for Energy from Waste Plants. Vipond’s systems design department closely tracked those requirements during the design process to provide the solutions demanded by the client. The scope of works extended to a wide range of fire suppression systems throughout including an automatic fire sprinkler system in accordance with BS EN12845, gaseous fire extinguishing systems to BS EN15004, water spray systems and the provision of water cannon to protect deep bunkers. Sprinklers. The scope afforded property protection with 6 installations covering over 12 distinct areas throughout the facility. With the exception of the car park these systems were almost entirely to High Hazard category. Automatic/manual IG55 systems were installed within the Generator room, Transformer room and Electrical Switchrooms. The 300 bar systems are designed deliver a uniform concentration of extinguishing agent throughout the protected areas within 1 minute in accordance with BS EN15004. Water cannon and hydrant supply were facilitated by a 45m3 tank with 2 electric Fire Pumps and Jockey pump. The manually operated cannons enable an operator from the security of the control room to direct a water stream at a fire within the bunkers. 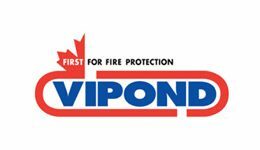 All in all a comprehensive series of fire protection measures are provided for by a wide range of Vipond suppression systems at Tovi Eco Park. This allows an integrated approach to the fire safety plan and the safety of the premises.